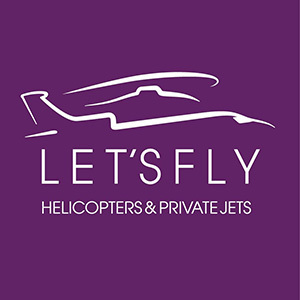 Open a professional career with our helicopter turbine pilot training with Let’s Fly in Cannes Mandelieu You have a European Private Helicopter Pilot Licence (PPL-H) and you wish to become a professional. Let’s Fly offers you this tailor-made training. Thanks to its solid experience in this field and its experienced team, notably its dedicated professional pilot instructor, Let’s Fly trains you within its school on one of its turbine powered helicopters. Concerning the theoretical part, courses are offered according to demand. A classroom equipped with an overhead projector and blackboards welcomes you especially for your learning. For the practical courses, which include 35 flight hours, Cédric Bianchini, European pilot instructor examiner and IFR (Instrument Flight Rules) professional pilot, is an instrument flight expert, used when visibility is low or zero, at night, or due to bad weather conditions. All these flights are made either on the AS350 Ecureuil or on the mythical Bell 206 helicopter. The latter is a 420 horsepower turbine helicopter that runs on kerosene like an airplane. It’s more powerful than a piston-powered helicopter with only 200 horsepower and super-powered like cars. The Bell 206 helicopter travels at an average speed of 200 km/hour and has a range of 3 hours. You are thus transported in 20 minutes between Cannes and St-Tropez, in 15 minutes between Cannes and Monaco, and in 1h10 between Cannes and Calvi. This luxury helicopter is not only more powerful than the others but also more spacious. After your professional pilot training at Let’s Fly and your 35 hours of flight, you take a final exam of about 1h30. Once this last step is completed, you will be able to work as a professional pilot on a turbine helicopter, get paid for your trips and achieve a great career in the trade.